The Braced Scroll Back Leather Dining Chair with Oak Legs (Cream) is a sturdy piece which will complement traditional and modern dining rooms alike. 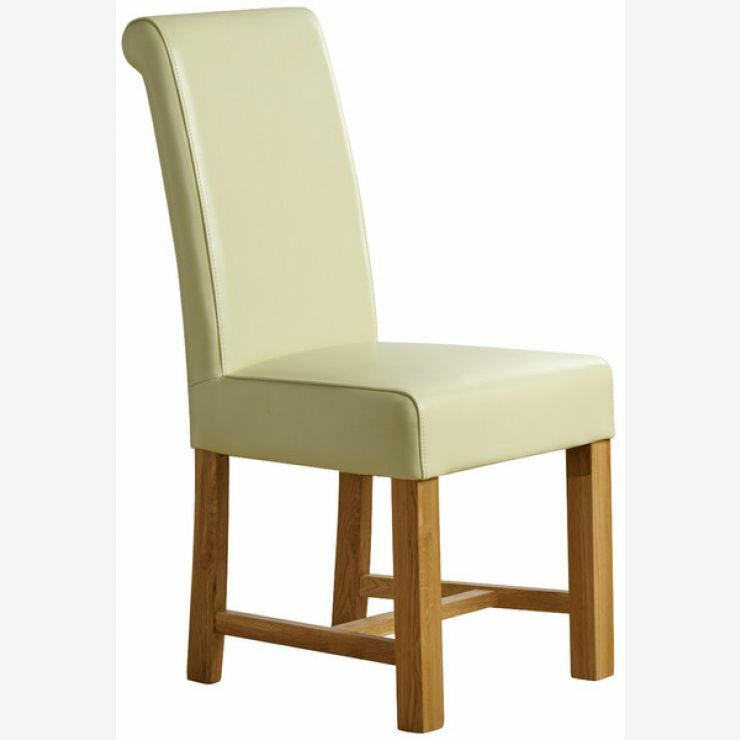 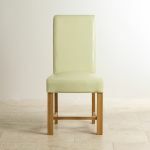 Handcrafted by skilled woodworkers from A-grade solid oak it is generously padded for comfort and upholstered in the finest cream real leather. 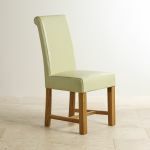 The legs are elegantly braced to ensure stability and strength; ensuring these chairs will never let you down.